dhivya prabandham – Commencement of Telugu translation for madhurakavi AzhwAr’s kaNNinuN chiRuth thAmbu – http://divyaprabandham.koyil.org/index.php/2015/06/kanninun-chiru-thambu-telugu/ based on http://divyaprabandham.koyil.org/?p=1232. thaniyans Telugu translation completed too and available in the same page. guruparamparai telugu – vEdhAnthAchAryar – life and glories in telugu – https://guruparamparaitelugu.wordpress.com/2015/06/05/vedhanthacharyar/ – new article by shashidhar swamy based on https://guruparamparai.wordpress.com/2015/06/05/vedhanthacharyar/ . Please visit https://guruparamparaitelugu.wordpress.com/2013/09/01/introduction-2/ to see the full list. 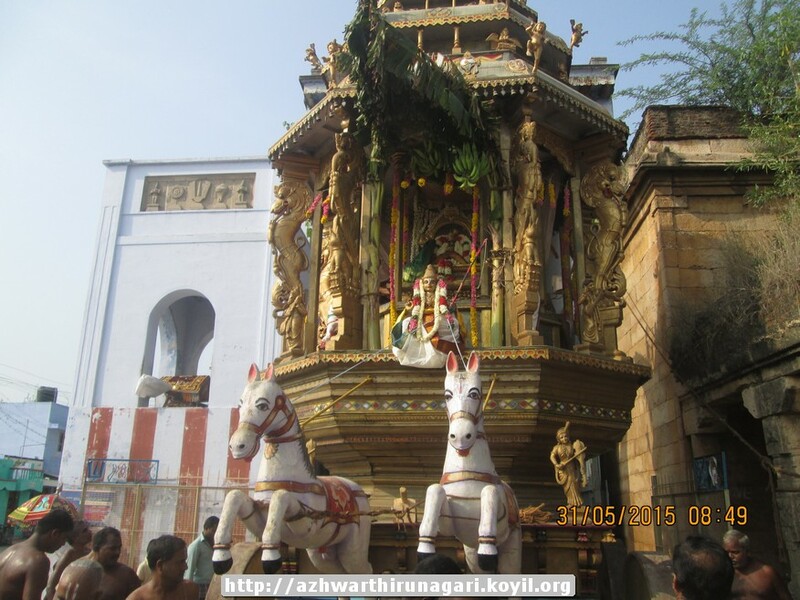 dhivya prabandham – Commencement of English translation for periyAzhwAr‘s thiruppallANdu – http://divyaprabandham.koyil.org/index.php/2015/06/thiruppallandu/. This entry was posted in Uncategorized on June 1, 2015 by Sarathy Thothathri.